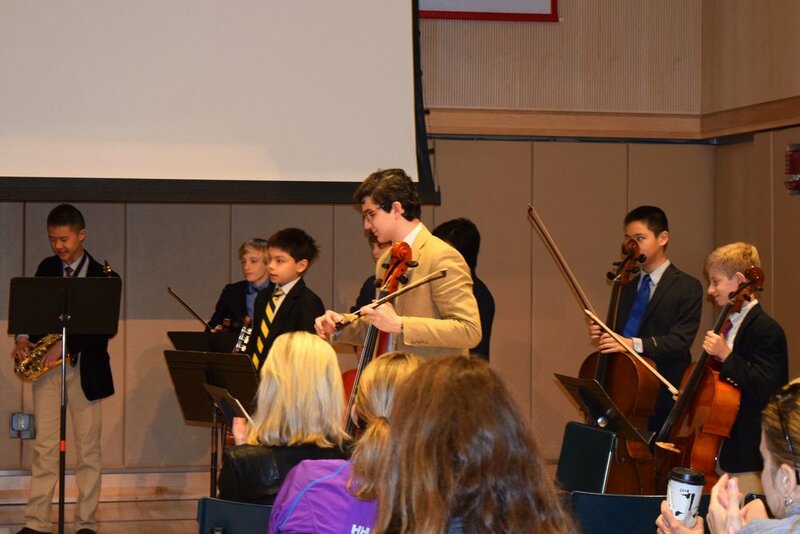 The final Parents Association meeting of the school year began with the joyous sounds of the Baroque composer Antonio Vivaldi's music performed by the Browning Ovation Orchestra. 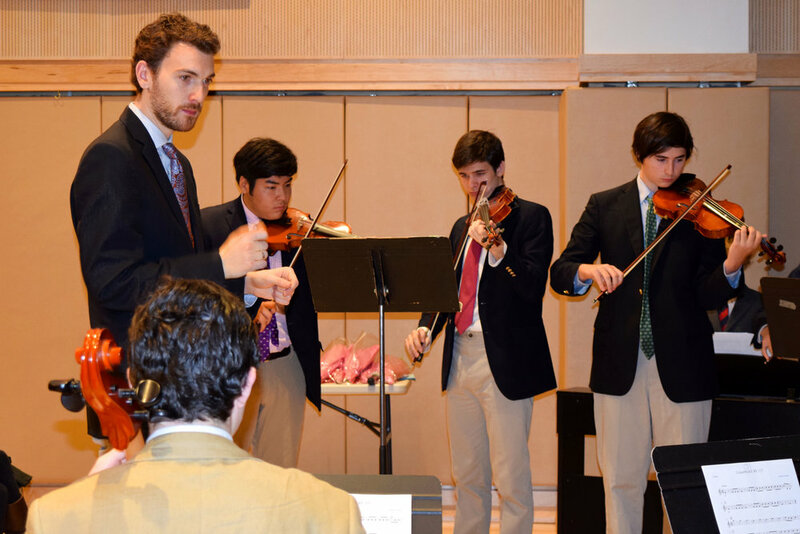 Music Department Chair Lucy Warner reports: "With Jonathan Ragonese, director of the orchestra, conducting, it was obvious to all in the audience that this orchestra has made great strides since its debut six years ago as a small string ensemble of five musicians. 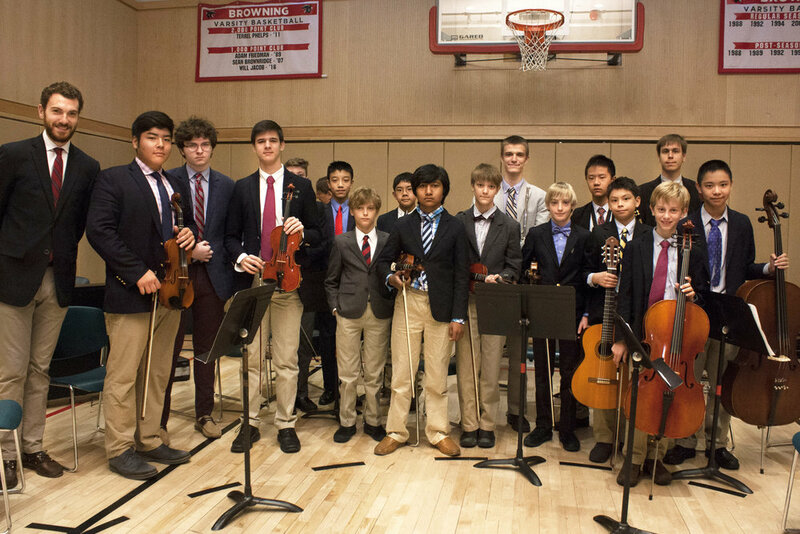 Now featuring 18 instrumentalists, the Ovation Orchestra includes woodwinds and percussion in addition to a vibrant strings section of violinists, cellists and a guitarist. 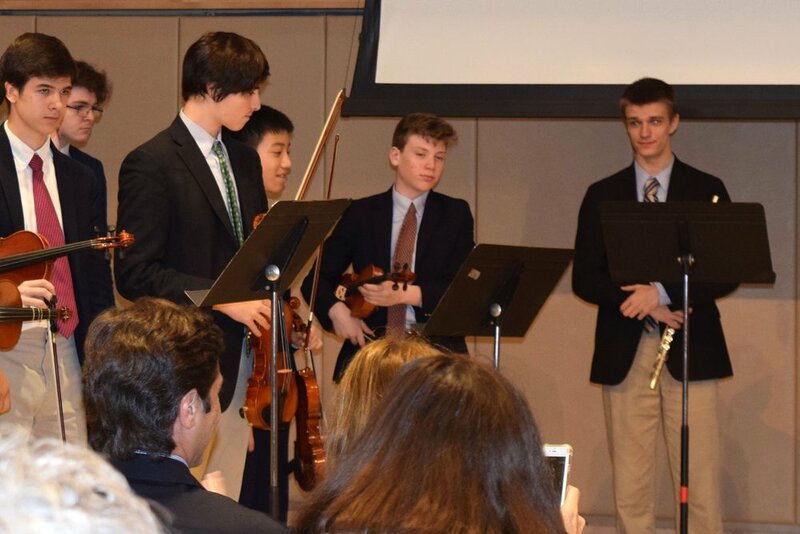 With the enthusiastic applause and cheers that followed the performance, one word in particular brought a smile to the musician's faces: 'Bravo!' "